LED bulbs will pay for themselves in energy savings alone in a year or less. 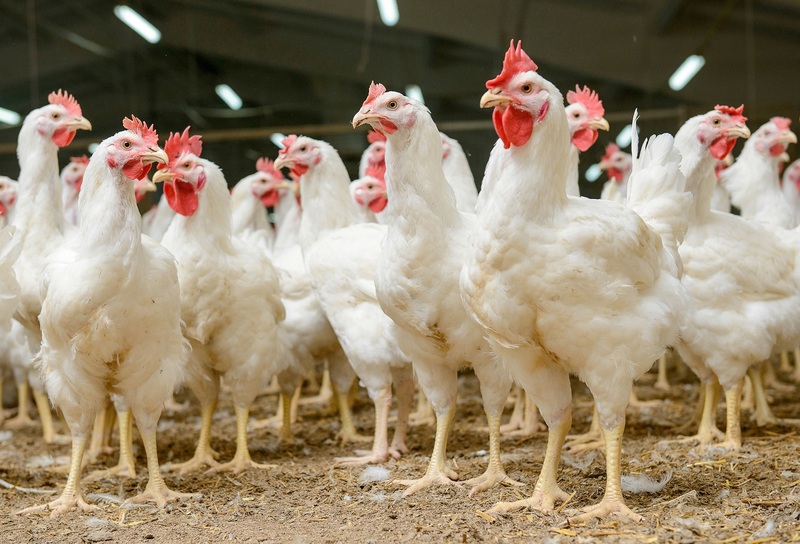 As a general rule, the poultry industry is pretty conservative, and it has taken a while for the industry to become comfortable with LED (light emitting diode) bulb technology. However, there is enough data available now that the industry is embracing LED technology and the energy savings it offers poultry producers. Over the last five years, LED (light emitting diode) bulb technology has been refined and developed to meet the lighting needs of the poultry industry. A good LED bulb is 80–85 per cent more efficient than an incandescent bulb. However, not all LED bulbs are the same, and poultry producers should invest time and conduct research before purchasing LEDs. 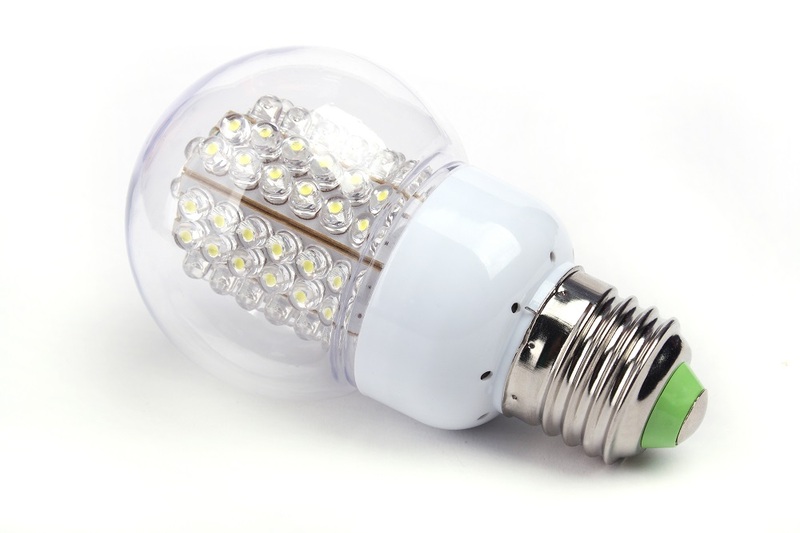 Any LED bulb is expensive compared to incandescent bulbs, and you don’t want to make a mistake. Light is an important environmental factor in poultry production. Light affects production efficiency, animal welfare, and growth rate. The four main features associated with light are intensity, photoperiod, source, and spectrum (Manser, 1996). Colour of light is determined by the various outputs from the different wavelengths that make up the visible spectrum. White light contains all the wavelengths of the visible spectrum, but it differs in colour temperature (kelvin rating) depending on the power emitted from the different individual wavelengths within the spectrum. Therefore, as a poultry producer, don’t make the decision to switch to LED bulbs in your chicken houses without asking some important questions and seeking advice from people you can trust. Fortunately, several major universities in the US, including Mississippi State, Auburn, Georgia, Arkansas, Maryland, Delaware, and possibly others, have poultry extension personnel who have worked with LED lighting since it first entered the poultry industry. These individuals have conducted numerous field tests and evaluations on a number of different LED products and can offer unbiased information on cost analysis, payback potential, and life expectancy of various LED products. This information is free for the asking, so take advantage of it and learn all you can to help you make the right choice. Avoid bulbs that have not been proven in a chicken house environment. With issues such as dust, humidity, moisture, and ammonia, a chicken house environment is much harsher than a residential or commercial setting. Some bulbs are not designed to perform in that type of environment and will not be able to withstand those conditions. 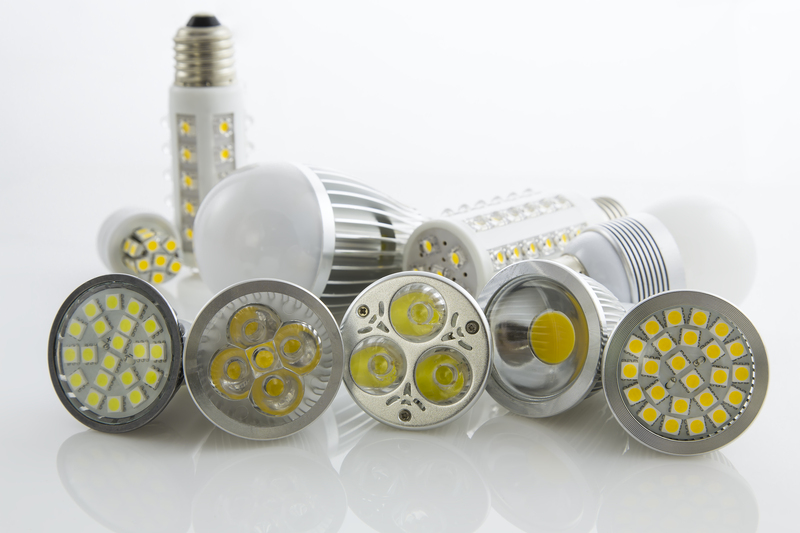 The energy savings associated with LEDs have never been in question. The question has always been whether the birds will perform as well under LEDs as they do under incandescent bulbs. The answer is yes—if light levels are adequate during brood and grow periods, if the light dimmer does its job correctly, and if the birds are cared for properly. Birds perform just as well under LEDs as under other typical light sources found in chicken houses. How Do LED Bulbs Affect Birds? Many producers who have switched from compact fluorescent lights (CFLs) to LEDs seem to observe that birds have a calmer behaviour and disposition under LEDs than CFLs. This could possibly be because LED bulbs do not flicker in the same manner that CFLs do. Because of their keener eyesight, chickens are much more sensitive to flickering lights than are humans. To some extent, LED technology is ahead of light dimmer technology, and not all dimmers are compatible with all makes of LED bulbs. This is due, in part, to the fact that unlike incandescent bulbs that dim in a linear fashion (meaning that, as the dimmer is turned down, let’s say 20 per cent, the light output from the bulb decreases 20 per cent) LED bulbs, for the most part, dim on a non-linear basis. This means the dimmer may have to be turned down a long way before you notice any actual dimming in the light output of LED bulbs. Dimmer manufacturers are catching up rapidly, but there are many older dimmers currently in the field that may need upgrading to properly dim LED bulbs. Some dimmers may be field serviceable and may only need an upgrade chip that you or your service tech can install. However, other dimmers may be old enough that a new, more advanced dimmer will need to be installed to handle the advanced LED technology. Determine the kelvin (K) rating of bulb that your integrator will allow. The kelvin rating refers to the colour temperature of the light (warm, neutral, or cool). A warm kelvin rating is in the 2,700K to 3,000K range, with an orange-red color similar to an incandescent or high-pressure sodium bulb. A neutral kelvin is in the 3,400K to 3,700K range. A cool kelvin rating is a blue-white color in the 5,000K to 6,000K range. It appears that the 5,000K bulbs are the most popular LED choice for broilers today, while the 2,700K LEDs are more popular in broiler breeder operations. Again, not all LEDs are the same. A good residential bulb, such as an omni-directional LED, is likely not the best choice for a chicken house. Much of the light from an omni-directional LED (perhaps as much as 40 per cent) tends to illuminate the ceiling and wall area, which may be fine in a residential dwelling but not so great in a chicken house where the majority of the light needs to be directed downward to the floor. Because of this fact, it may take a higher wattage bulb (usually at a higher price) to get enough light on the floor to meet the needs of the chicks. Many LEDs sold at hardware or discount stores are omni-directional. Even the least expensive LED bulbs cost much more than incandescent bulbs. Be sure that you are paying for exactly what you and the chickens need. Understand foot-candles of light and the importance of foot-candle readings throughout the production cycle. Your service tech most likely carries a light meter to measure the light intensity in your chicken house. A foot-candle is a measure of light intensity on a surface and can help standardize the value of various light sources. A foot-candle is equal to one lumen of light per square foot. A lumen is a measure of the total amount of visible light emitted by a source (the brightness). For example, a 10-watt non-dimmable A19 LED bulb may have a brightness level of 900 lumens. A 6-watt dimmable A19 LED bulb may be rated at 530 lumens. Baby chicks are usually given two or more foot-candles of light for the first few days (4–14), depending on the integrator, genetic strain, and nutritional program. However, the bulbs must also be able to properly dim to the very low levels needed later in the flock (0.03 foot-candles or less) to maintain optimum performance. Proper light intensity is critical to bird performance throughout the flock. Light levels are usually greatest over the feed and water lines and somewhat less against the walls. It is important to have fairly uniform light levels throughout the house with no dark spots or overly bright areas. The LED industry continues to improve beam angle to provide a wider band of light output that better eliminates dark spots and minimizes overly bright areas. The correct beam angle helps direct light specifically toward the birds and reduces the amount of light wasted by illuminating the walls and ceiling. While most LED work has been with broilers, recent work has been ongoing in both pullets and broiler breeders. Early results appear just as promising in pullets and breeders as in broilers. We are currently collaborating with a broiler breeder farm in Mississippi that replaced all its high-pressure sodium bulbs on a four-house farm with LEDs almost a year ago. That operation is seeing consistent savings of $1,500 per month on its electricity bill. Production parameters on the current flock under LED lights, to this point, are comparable to previous high-pressure sodium light flocks. The farm is using Overdrive 10-watt 2,700K A19 non-dimmable bulbs on 10-foot centers in two rows of lights above the nests. It also has two rows of lights above the slats between the nests and the cool cells that run the length of the cool cells on 5-foot centers. Again, the pullet and breeder folks tend to prefer the 2,700K range, while the broiler folks prefer the 5,000K bulb. However, a recent USDA study using broilers grown to heavy weights under three different LED light sources (one brand of 2,700K and two brands of 5,000K bulbs) and incandescent light found no difference between light sources on blood physiological variables. This indicated that the three LED light sources evaluated may be suitable for replacement of incandescent light in commercial poultry operations to reduce energy cost and optimize production efficiency without inducing physiological stress on heavyweight broilers (Olanrewaju et al., 2015). 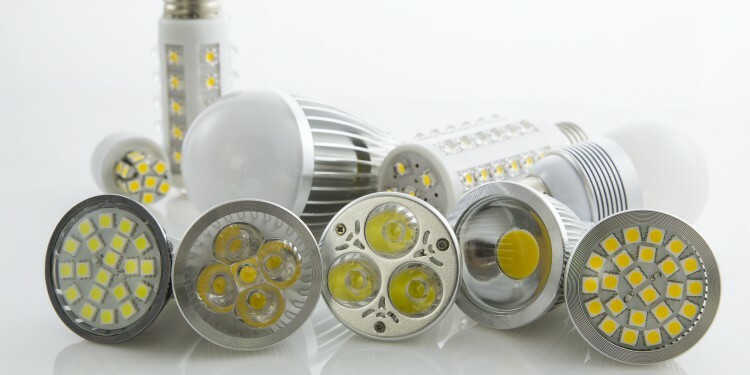 The federal Environmental Quality Incentives Program (EQIP) and local utility rebate programs are available in the US and Canada to help producers replace their incandescent bulbs with energy-efficient LED bulbs. Consider taking advantage of these if possible. However, in many cases, the waiting list is long, and, once you sign up, it may take a while for your name to work its way to the top of the list. Qualifying for the rebate program may also require an energy audit of your farm, which will be an added expense. As a result, more and more producers are choosing to replace their bulbs themselves and start saving money now instead of waiting on rebate money to become available. This can be a wise move in the long run because—even without rebates and even if you buy the LED bulbs yourself—LED bulbs will pay for themselves in energy savings alone in a year or less. In addition, most LEDs come with at least a 3-year warranty and several brands now come with a 5-year warranty from the manufacturer. Again, do your homework and look closely at price and warranty. All LEDs, regardless of price, will save huge amounts of energy that will translate into big savings on your electric bill. However, you should choose a bulb that has a track record in an agricultural environment such as a chicken house. For MORE informative articles about agriculture technology, SUBSCRIBE FOR FREE TODAY! Authors: Tom Tabler, Extension Professor, Morgan Farnell, Associate Professor, and Jessica Wells, Extension Instructor, Poultry Science. References: Manser, C. 1996. 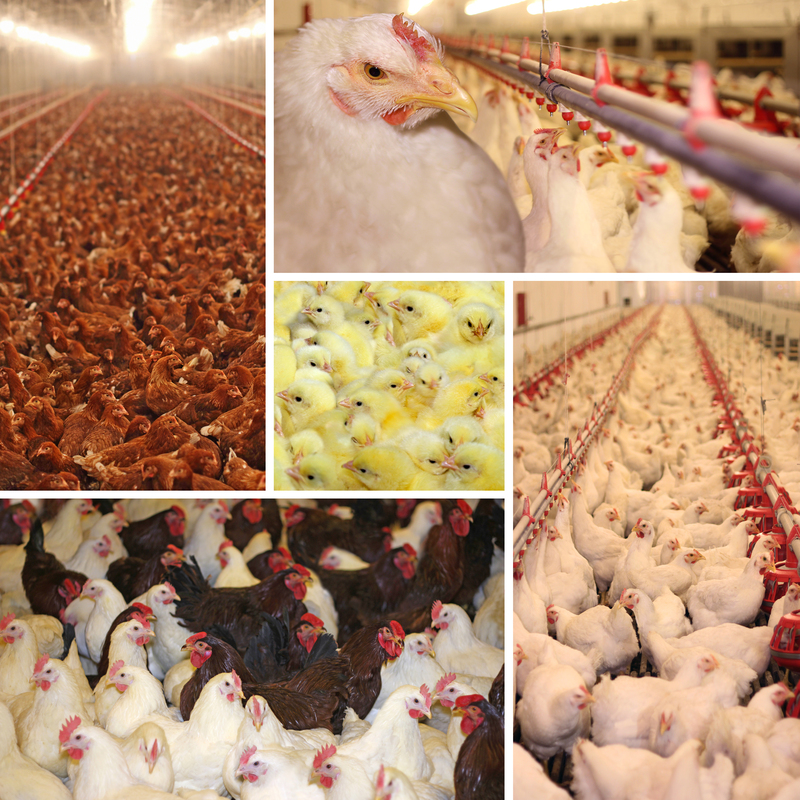 Effects of lighting on the welfare of domestic poultry: A review. Anim. Welf. 5:341-360. Olanrewaju, H.A., J. L. Purswell, S. D. Collier, and S. L. Branton. 2015. Effects of color temperatures (kelvin) of LED bulbs on blood physiological variables of broilers grown to heavy weights. Poultry Science. Available at: http://dx.doi.org/10.3382/ps/ pev139. Accessed: June 19, 2015. Use of Agriculture Land – A reserve for what?